Altus Services are one of the UK's leading manufacturers of high quality timber conservatories, orangeries, windows and doors. We offer a wide range of traditional, contemporary and bespoke products suitable for any home. We have built an enviable reputation for quality and reliability. We understand that when choosing a product, customer service, quality and affordability are all of equal importance. With these three important factors in mind, we have developed a range of products and a comprehensive service that makes us unique. Unlike many other suppliers, technical advice, expert design and dedicated after-sales support come as standard. Whatever product you select, we believe this commitment to customer service and high quality workmanship w:ll ensure you have complete peace of mind. 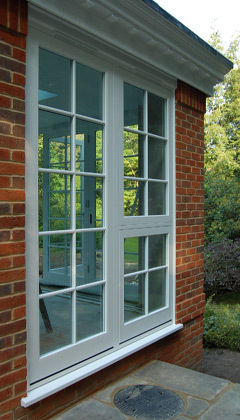 Altus Services began manufacturing timber conservatories in 2001 from a combined factory and showroom in Kingston Bagpuize, Oxfordshire. Over the years we have grown into a national company and today our products enhance thousands of homes across the country. Based in the heart of Oxfordshire, we are ideally situated close to the M4 and M40 motorways, providing access to major routes. Our busy factory distributes products nationwide. We take our responsibility to protect the environment seriously and try wherever possible to reduce the environmental impact of all processes used in the manufacture of our products. We are proud to say all our wood products are manufactured from timber sourced from sustainable, renewable forests and conform to stringent Forest Stewardship Council (FSC) Standards and are certified by the Malaysian Timber Certification Council (MTCC). One environmental innovation that we are especially proud of is that all wood off-cuts, shavings and sawdust are burned to heat the factory and offices. And we are committed to further reducing our environmental footprint by building on existing programs and introducing new innovative plans. For more information about sustainably sourced timber, go to the Hardwood Timber page. For more information, please email sales@altus-services.co.uk or call the Customer Services team on 01865 821823. Not only can we help you find the right products for your needs, but our Customer Services team can also show you how to get the best conservatory, orangery, windows or doors for the best price.